Happy New Year's Eve, everyone! I hope you all enjoy the holiday weekend. 2011 sure felt like a quick year to me, and the end of the regular season is already here. After a couple of down weeks, I need to start the new year off with a win. There are some interesting matchups this week, and as usual in week 17, which teams may be resting which players is always an issue. The good news is that most of the playoff teams have a little something to play for, with Green Bay being the only team that really has no reason to play this week. Throw in a few "win-and-in" games and it should be an exciting weekend of football. Good luck, Happy New Year, and here are the final picks of the regular season. It was only 4 weeks ago that San Francisco stomped St. Louis 26-0, in San Francisco. I'm pretty sure home field isn't going to save the Rams this week, either. Fresh off a 27-0 shutout loss in Pittsburgh, the Rams are in danger of being held scoreless again. Recently signed QB Kellen Collins is leading the offense and it hasn't been pretty these past few weeks. The Niners have to win this game to secure the #2 seed in the NFC and a first round bye, so they will be playing their starters deep into this game to make sure that happens. The defense may have Patrick Willis returning this week, and they'll be out for blood after surrendering both a rushing TD and 100+ yards to Marshawn Lynch. SF should dominate this game. It's always nice taking the Falcons at home, but it's even nicer betting against the Bucs lately. In their past four games, they're 0-4 ATS and have lost by margins of 19, 27, 16, and 32. In addition to trying to recoup some momentum after being embarrassed by the Saints last week, Atlanta can move up to the #5 seed in the event Detroit loses to Green Bay. Regardless of whether or not this game holds any playoff implications for the Falcons, it's too hard to pass up betting against a team getting blown out every week. With many rumors out there about the likely possibility of Bucs coach Raheem Morris getting fired, it seems he's lost control of the team. Falcons coach Mike Smith said they won't rest their starters this week, and I believe him; nobody wants to back into the playoffs. Look for the Falcons to win big. 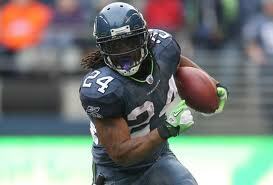 Lynch is on fire, and had a TD and 100+ yards last week. Both the Seahawks and the Cardinals have had impressive second halves to the year, with both teams entering this game at 7-8. The last meeting between these two teams was all the way back in week 3, and Seattle won 13-10. Marshawn Lynch, though, has since become a dominant runner for Seattle, and despite the loss to the Niners last week, the Seahawks are 3-0-1 ATS over their last four. The Cardinals have gone 2-2 ATS over the same span. Statistically, I don't see any reason for this not to be a close game. The matchups may favor Seattle slightly, as their defense is above average, whereas the Cardinals are slightly below average, but nothing jumps out at me. The Seahawks will feed Lynch the ball and he should continue to find success, and expect Skelton to hook up with Fitzgerald for at least a couple of big plays. I'm expecting a one-possession game in the end, but I think Seattle is a more complete team at this point. I'm giving them the edge, and the points make it a little easier. With the loss of Adrian Peterson, the Vikings offense is running out of weapons. The Vikings had lost 6 in a row prior to last week's win over the Redskins. The Bears haven't won a game since they've lost Jay Cutler, but the offense showed some life last week, with Josh McCown passing for 242 yards and Khalil Bell rushing for 127 yards. The Vikings defense is in shambles, and the Bears defense is still capable of shutting teams down at times. It promises to be an ugly game, but I think the Bears are more than capable of earning an ugly win in this game and ending their season on a high note. The Vikings have given up 137 points in their past four games, an average of 34.25 points per game. They're lucky they won last week. The money has been going on Buffalo and moved this line down, but I like it at 10. The Bills may have dismantled the Broncos last week, but a lot of that success was a direct result of Tebow's turnovers. Ryan Fitzpatrick only threw for 196 yards, and CJ Spiller only ran for 111. They should definitely find success against the Patriots defense (who doesn't? ), but the Patriots will pour it on against the Bills 24th ranked defense. The Patriots need a win to secure the #1 seed, they want to avenge an early season loss against the Bills, they're at home, and Tom Brady can move ahead Dan Marino (and possibly Drew Brees if the Saints sit him) for passing yards in a single season. Bill Belichik also has a reputation for playing his starters well into the second half of these games at the end of the regular season, so I'm not worried about key players resting too much. The Pats will cover this one easily. 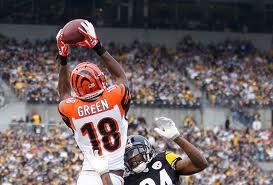 Rookie WR AJ Green (1,031 yards, 7 TDs) has had a huge year. I'm like a moth to a flame with these Baltimore Ravens. They hung me out to dry last week, but I still don't see them losing this game. There's simply too much at stake. They'd lose the division title, a first-round bye, and any chance of hosting a game in the playoffs if they lose this game to the Bengals. 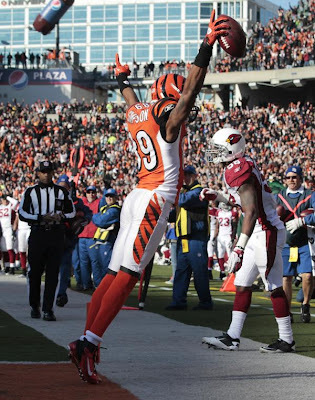 Couple that with the fact that the Bengals are 1-6 against teams with a winning record this year, and I think the Ravens will find a way to come out on top. The Ravens are 3-4 ATS on the road and the Bengals are 3-4 ATS at home, so I don't see a big home-field advantage here. Baltimore won the last meeting 31-24 in week 11. The big matchup here is going to be AJ Green against the Baltimore secondary, who rank 4th in passing defense this year. If the Ravens can contain Green, the Bengals offense will struggle. I think the Ravens will pull through. 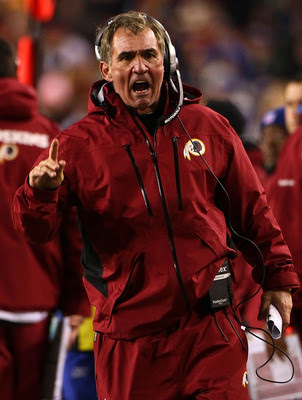 Mike Shanahan said earlier this week that he has “no doubt” that he’ll be back with the Redskins in 2012. He’s also started the process of preparing for next season. Mike Jones of the Washington Post reports that Shanahan started reviewing tape of college quarterbacks provided to him by the team’s scouts around midseason. That doesn’t guarantee that the Redskins will be selecting a quarterback early in the draft, as this is the kind of things teams do every year to prepare for the draft. Still, it would be surprising if the team didn’t take a serious look in that direction come April. Rex Grossman has turned the ball over 32 times in 16 games with the Redskins and John Beck performed worse than Grossman during his brief run as the team’s starter. Shanahan offered no hints to his thoughts about this year’s draft class. There’s a good bet that someone looks interesting enough for the Redskins to add a name to the mix before Shanahan’s third season as the team’s head coach. Six days after Minnesota Vikings running back Adrian Peterson tore the ACL and MCL in his left knee, the perennial Pro Bowler underwent successful surgery, the club announced on Friday. "We’ve received word that Adrian underwent successful knee surgery with Dr. James Andrews and is now resting comfortably," the club announced in a statement. "Adrian is in our thoughts, we wish him a speedy recovery and we look forward to seeing him when he returns to Minnesota." 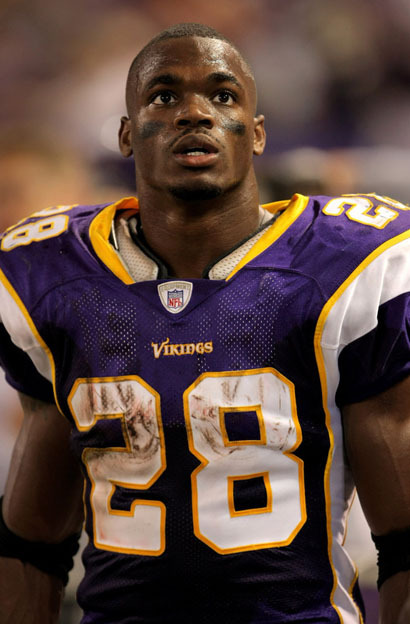 Peterson is facing a recovery time of at least six-to-nine months, which threatens his availability for the start of the 2012 regular season. It sure wasn't a very merry Christmas for my picks last week. Thank goodness the overs came through, as they were the only wins. The Niners managed to fight off a tough Seahawks team and terrible officiating to at least push, while Denver and San Diego got absolutely thrashed. 2-3-1 on the week. The good news is I feel a bit more optimistic about the lines this week, so hopefully we can start the New Year off right. Here's the recap from last week. 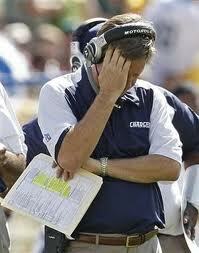 Another disappointing season for Norv. Happy trails. Denver -3 over Buffalo: Wow, what a total meltdown. In the end, no real damage was done to Denver's playoff hopes, as they can get in this week with a win. After watching Denver get slaughtered by a down-and-out Bills team, though, you have to wonder if the Raiders will end up sneaking their way to an AFC West title. San Diego +1.5 over Detroit: That game sealed the fate of Norv Turner, and possibly AJ Smith along with him. Another disappointing year for San Diego and it seems silly that they can't find a way to make the playoffs anymore. With such talent at the skill positions, they will be one of the top coaching draws this offseason, assuming Norv is indeed fired. Detroit locked up a playoff spot, and despite the defense struggling with its consistency, the offense could very well surprise someone in the playoffs. Baltimore -12.5 over Cleveland: The Ravens continue to be one of the most inexplicable teams of the season. They got out to an early lead, and then... nothing. A win is a win, but they have to be concerned about the lack of offense lately. 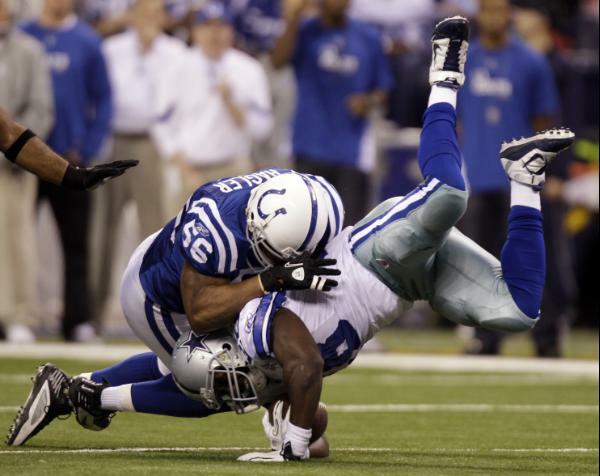 Inconsistent teams have a hard time surviving the post-season, so they better hope they turn over a new leaf in 2012. Cleveland has quietly gone 5-1 ATS over their past 6 games. SF -2 over Seattle: The spread turned out to be dead-on in this game. I watched the game in its entirety and the Niners definitely seemed to be the victims of some home-cooking from the officials. Regardless, their continued inability to generate redzone TDs is their biggest problem. Seattle has been playing solid football lately, and even has managed to find success on the road. I like them getting the 3 points this week. Drew Brees etched his name into history. 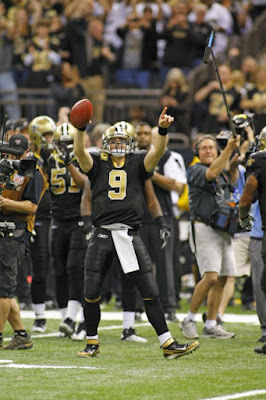 NO/ATL OVER 52: The Saints offense continues to roll and the overs continue to be easy. 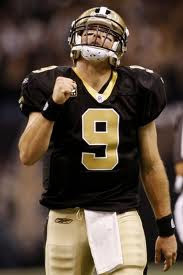 Brees gunning for Marino's single season passing record definitely helped. Atlanta strikes me as the Baltimore of the AFC. They look great some weeks, and not so great the next. With a first round playoff matchup against the Saints looming, they're looking at a quick exit. Minnesota/Washington OVER 43: Hoo-ray for bad defense! The over for this one was never in doubt. Minnesota can't stop anyone at this point, and with AP gone after his knee injury, Chicago may have a fighting chance this week. Washington continues to toil in mediocrity, unable to compete against good teams. Perhaps they'll find their QB of the future in the draft. 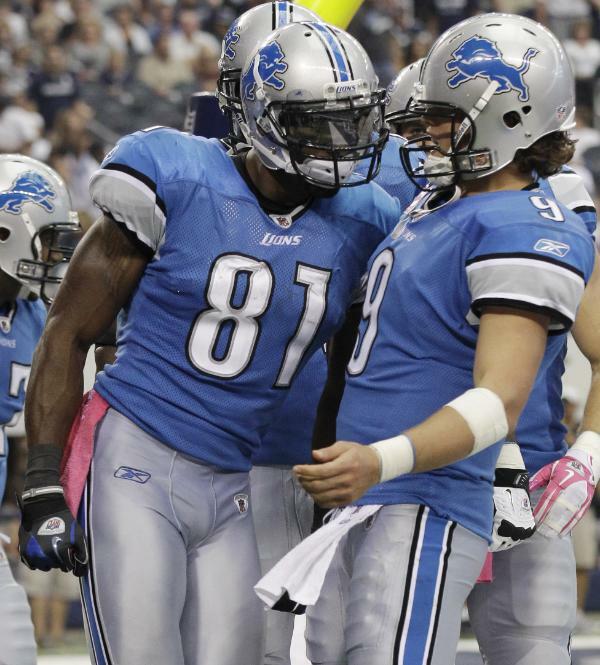 Detroit Lions Pro Bowl wide receiver Calvin Johnson missed a second consecutive day of practice with an injured Achilles tendon, Dave Birkett of the Detroit Free Press reports. Johnson hopes to be able to play in Sunday's regular season finale against the Green Bay Packers. "I had some things bothering me at the end of the game there so just trying to be as fresh as possible going into the game," Johnson said on Wednesday. Johnson is headed back to the Pro Bowl after catching 85 passes for 1,437 yards and 15 touchdowns. Johnson is second behind New England Patriots wide receiver Wes Welker in receiving yardage and is tied with Patriots tight end Rob Gronkowski for the NFL lead in receiving touchdowns. 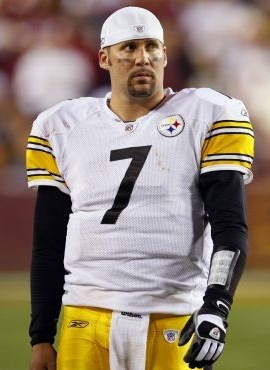 The question no longer seems to be whether Ben Roethlisberger will start for the Steelers on Sunday. The question is how much he will play. There is nothing else to deduce after Roethlisberger went through a full practice Wednesday. Gerry Dulac reports that the Steelers expect Big Ben, center Maurkice Pouncey, and wideout Emmanuel Sanders to play against the Browns. Dulac writes the Steelers want Roethlisberger to take 25-30 snaps, but the Steelers don’t want him coming off too much rest heading into the playoffs. Tom Brady “dinged” his shoulder during Saturday’s win over the Dolphins and he missed practice Wednesday, but the Patriots say those two events are not related. Brady’s absence was officially listed as was “not injury related” on the injury report released Wednesday. Tackle Sebastian Vollmer (foot) and guard Logan Mankins (knee) also missed practice. It sounds like Brady is still fully expected to start Sunday against the Bills. The Cowboys kept Felix Jones on the bench for most of Saturday’s loss to the Eagles so that he wouldn’t be on the bench against the Giants in the season finale. The team expects Jones to start and doesn’t think he’ll be limited at all despite his hamstring injury. “We think by limiting Felix to about 8 or 10 plays the other night, we’ve got him in good shape,” Cowboys owner Jerry Jones said on KTCK-AM via the Dallas Morning News. The Giants rush defense has been a weakness all year. Jones looked pretty spry last week when he played and the Cowboys are quietly a top-ten rushing team in yards-per-carry. We’d expect to see a lot of him on Sunday night. 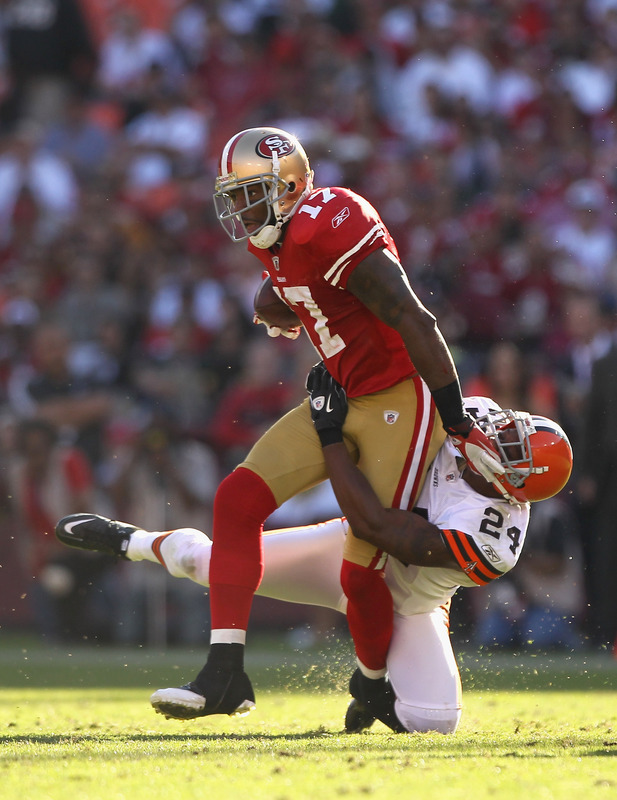 According to veteran wide receiver Braylon Edwards, he has been released by the San Francisco 49ers. Signed to a one-year, $1.6 million contract that included nearly $2 million in incentives, Edwards has just 15 receptions for 181 yards and zero touchdowns in nine games this season. Edwards missed four weeks following knee surgery, which Edwards cites as the reason he's being let go. "I was released today by the 49ers due to my injury that required more time to rehab and hasn’t allowed me to re-sync with the offense," Edwards announced in a statement on his website. "I wish the 49ers organization the best of luck during the Playoffs. I will be working hard this off season to strengthen my knee and prepare for the 2012 season. Thanks for your continued support and for being such loyal fans." Edwards had just two receptions for 14 yards in the last four games where he's been active. 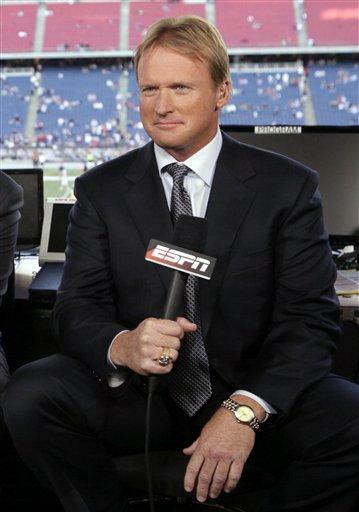 In a thorough and detailed update regarding the coming turmoil in San Diego, Kevin Acee of the San Diego Union Tribune reports that Gruden has decided to return to coaching in 2012, and that ESPN is aware of Gruden’s looming departure. And here’s where it gets even more interesting. Acee reports that, if Rams owner Stan Kroenke fires coach Steve Spagnuolo and G.M. Billy Devaney, Kroenke will attempt to hire Chargers G.M. A.J. Smith (if/when Smith is fired by the Chargers) and Gruden in a package deal that would consist of a guy who never smiles, and a guy who always scowls. Chargers owner Dean Spanos is expected to reveal next week his plans regarding the G.M. position. It’s widely regarded as a given that coach Norv Turner will be fired. On Sunday night, Peter King of Football Night In America opined that the Rams’ job could be the best one available in the 2012 hiring cycle, given the presence of Sam Bradford, the possibility of the top pick in the 2012 draft, and the most cap room of any team come 2013. Weekly 2011 Cumulative Football ERA Formula results are published below with the usual cautionary disclaimer that these are NOT Power Rankings. To analyze these results, we primarily have to look at how teams change within the Rankings rather than looking at the Rankings alone as a raw result. Position is neither the best nor the sole criteria of analyzing the list as much as is observing change in the list (first derivative). In other words, how teams rise and fall from week to week during the long season is more of a primary criteria for evaluating performance.